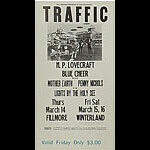 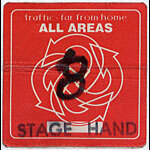 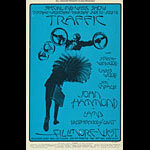 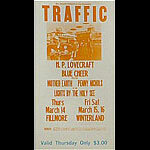 Traffic was formed in the U.K. in 1967 by Steve Winwood, Dave Mason, Jim Capaldi and Chris Wood. 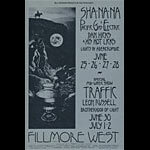 Their first record featured the well-known song "Dear Mr. Fantasy", which has been covered by artists like Jimi Hendrix and The Grateful Dead. 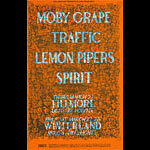 Their early sound was a blend of psychedelic rock and folk rock, but it later developed into a more progressive rock and jazz fusion mix, as featured on 1971's The Low Spark of High Heeled Boys and 1973's Shoot Out at the Fantasy Factory. 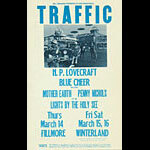 The members of Traffic were inducted into the Rock and Roll Hall of Fame in 2004.